Ranger Airfield in Ranger, Texas claim to fame is that it is the 3rd oldest airport in Texas. Randolph Field in San Antonio may well be the oldest. It's first airplane arrived in 1909. Stinson Municipal Airport, also in the San Antonio, claims to be the seconds oldest airport in operations in the United States starting in 1915. 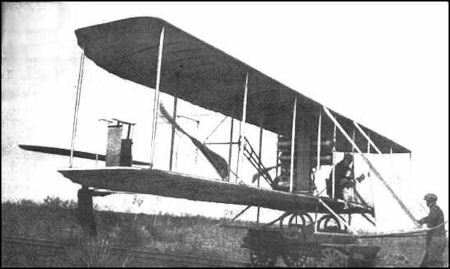 In late November 1911, a Wright Model B landed in Ranger. The pilot, adventurer R.G. Fowler. All three of these airfields certainly have a place in US and Texas aviation history. I was recently in Ranger and visited Ranger Field. I missed their annual Memorial Weekend Fly In by one week but it many ways that was a good thing. This airfield on a normal day still has the feel of a small airfield in the early days of flying. Yes it does have the remnants of a paved strip but it has virtually returned to the elements. All aircraft operations are made on grass airstrips. 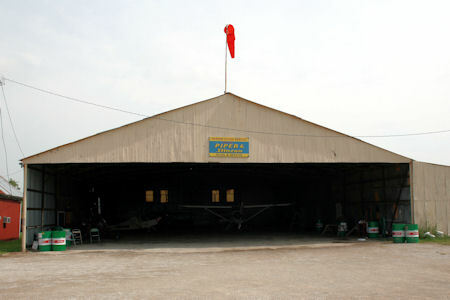 Ranger Field is currently the home of 6 single engine aircraft and 3 ultra lights. The day I visited there was nobody There but I did see 5 of the 9 aircraft in hanger ready to go. There is one aircraft that I wanted to see but did not. It was probably in one of the closed hangers. It was the story that actually drew me to the Ranger Airfield. That plane is the "Barn Cub" For the full story of the recently discovered Piper Cub that spent the last 59 years in a barn in Texas. I'm not an aviator but a lover of Texas history and historical things.Ranger Airfield is probably the best opportunity we have to preserve an early 20th century airfield.